There’s A Shark In The Water! Showtec has launched a brand new range of compact and affordable moving heads aimed at mobile DJs. 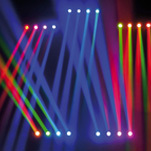 The Shark Series comprises five fixtures: the Shark Wash One, the Shark Zoom Wash One, the Shark Combi Spot One, the Shark Spot One, and the Shark Beam FX One. 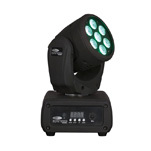 Highlite brand Showtec has now released its new Astro 360 lighting unit, an updated version of Showtecs original Astro effect popular in the 1980s. Taking this classic centrepiece effect and giving it a new look, the new Astro 360 has been designed to offer mobile DJs a retro-style RGBW display that enjoys the benefits of modern technology. 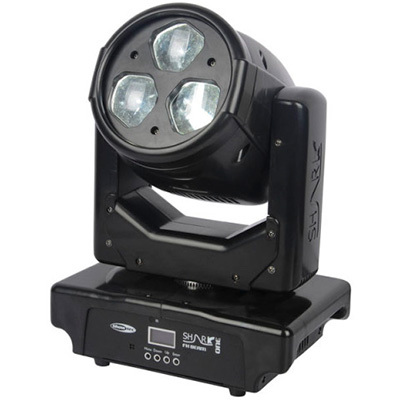 Highlite-distributed brand Showtec has released its new Wipe Out 4-360, growing its range of LED lighting solutions with a moving bar fixture that boasts continuous pan rotation and impressive tilt angles to equip mobile DJs with flexible, high-impact effects. 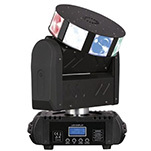 Expanding its range of LED lighting solutions, the Highlite-distributed brand Showtec has released its new Kanjo Wash RGB – a compact but powerful moving head designed for use by mobile DJs in rooms and venues with low ceilings and limited space.